Living in Michigan brings about a need for a quality Organic Skin Care routine. I never truly realized just how brutal winter weather could be on my skin until I was here for a few months and started seeing my eczema flare up. So, I dove in head first and began really exploring options. I have really focused on using organic products on my skin over the last few years because I am hesitant to use anything that can create more damage to my already sensitive skin. I decided to share some of my favorite products with you in hopes that you too will benefit from my research and experience. Block Island Organics: A few months ago, Kelly, from Block Island Organics, sent me a bottle of their moisturizer. It is made from 22% Zinc Oxide. It’s not just used as sunscreen, but is a wonderful daily moisturizer. I decided to give it a test run for a month right after we moved to Michigan and was really impressed with the quality. I have used Zinc Oxide in the past as a sunscreen, but never really thought about how it could be a great option for moisturizing my skin in the process. With sun reflecting off the snow here in the winter, I realized pretty fast how important it was to wear sunscreen every day when I was going to be outside. Adding into that the fact that I really did need the extra moisturizer on my skin, it was nice to have a good soothing layer to protect my face. This is definitely one organic skin care option that I love and believe in the quality of, as well as know the company works hard to provide excellent products. Lena Jeanne Cosmetics: I confess, Lena Jeanne is actually my cousin. Even if that wasn’t true, I would have to recommend her anyway. Her line of products is all organic and hand created by her. She has a PhD in Biochemistry and has spent months studying how various products work to help our skin. She has a full line of makeup, moisturizers, cleansers, and even lip products. Everything is made to order with the best quality products she can find. If you want to invest in amazing organic skin care, this is definitely the place to go. Bonus: Her facial lotion is a miracle worker. Seriously – it is one of the best products you will ever invest in for your skin! Crunchy Mamas: A few years ago, Crunchy Mamas reached out to me to do a review of their products. I have since come back a few times, as well as sent many friends their way. I adore their lip balm. I legit cannot get enough of the lip balm. I will fight you for a tube of the Honey-Lemon lip balm. I am that serious about it. I have been eyeing their deodorant and am pretty sure my Sister would be covetous if I bought some, so I am fairly certain it will be on my list of things to grab for her upcoming birthday. Beauty Counter: I keep seeing this company being represented by friends, so when fellow blogger and super crunchy mom, Crystal Collins started talking about them, I knew I had to read more. Lo and behold, just days after I started working on this post, I received a package in the mail from them to check out thanks to the ShiftCon conference. I know now that their body wash, lotion, shampoo, and conditioner are going to have a permanent place in my bathroom. I haven’t actually tried the makeup items from them yet, but I have read review after review of this brand from some of my most trusted friends and so I feel 100% confident in including them on my list of trusted organic skin care lines for winter skin care as well as year round skin care. Not only do they have a full line of skin care products, they seem to have some amazing quality makeup for those beauty lovers on your list. Origins Skin Care: A mainstream organic skin care line that I have tried in the past and loved is Origins Skin Care. I’ve used various products including the moisturizers, cleansers, and masks with great results. The moisturizers especially are handy for me and the dry skin issues I have in the winter months. If you are uncertain, there are tons of great gift kits you can choose from that have trial sizes of multiple products in their line that you can test out to see what works for your skin. This is often my favorite way to try something new on my skin. While I don’t often cover beauty topics here, I felt like this winter sharing some of my favorite winter organic skin care products was timely. Moving to Michigan with often negative temperatures in winter has definitely been shocking to my skin. Arkansas is rarely under freezing more than a few weeks during winter. We definitely don’t have more than one week with snow during the entire season. Already having had weeks of snow this year means my skin has taken a beating. 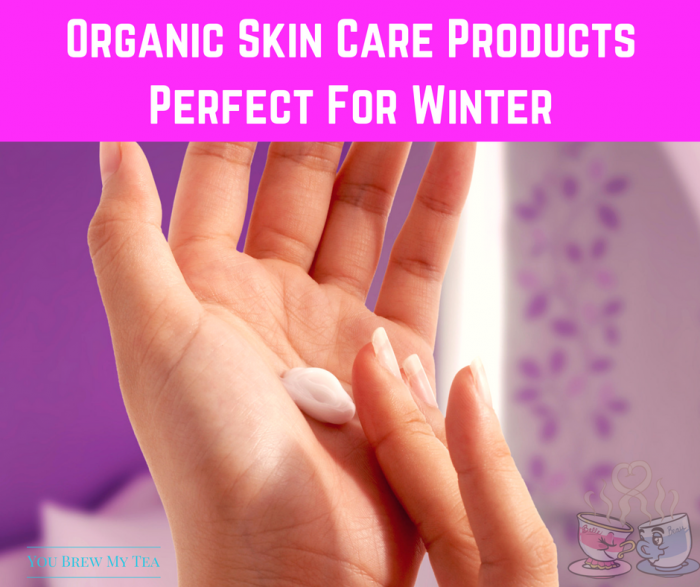 I love my new state, and I adore the snow, but I definitely have to invest in some quality organic skin care like the products above to keep my skin looking and feeling soft and pretty to combat this tougher winter weather! For more self-care tips and great products you can make for yourself at home – check out the links below!